Anyway back to the action on court... Mayer produces a brilliant shot to save a break point and force deuce. 4-4. Brilliant response from Mayer. At break point down he gives Murray absolutely no chance in the next three points to turn the game on its head and keep matters level. 5-4. Mayer forces Murray out wide on a couple of occasions but he is equal to the task and sees the game out. Big moment in the match coming up in the next couple of games. What a stunning point!! A super serve from Mayer is prodded back by Murray. It lands in and the pair trade hammer blows before a sumptuous, delightful little drop shot which Murray has no chance of reaching, even on a hard court. Amazing. 5-5. And he sees out the game. Heading for a breaker? Or can someone string two games on the spin for the first time in the match? Here we go. Stanislas Wawrinka to serve. And we're off. First brilliant shot of the match as Murray brilliantly lobs Wawrinka. 0-1. But an unforced error at the net hands the initiative to the Swiss who seals the opening game. Fantastic point from both players. If we have rallies like that throughout this match we are in for something special. Murray eventually nicks it by charging to the net to finish it off. 1-1. A pretty comfortable hold. Settled in for an evening of US Open tennis and @andy_murray 's QF against Wirwanka... Bloody autocorrect! 1-2. Wawrinka looking very comfortable and classy up against the reigning champ. 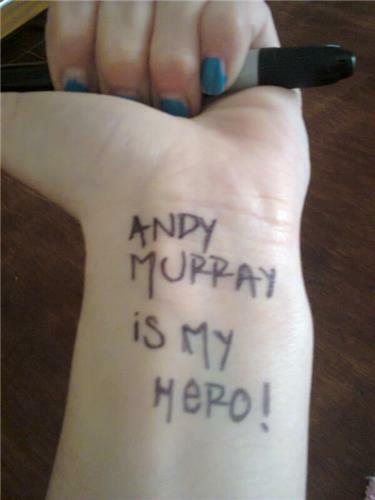 This is not going to be easy for Murray. Watching the Andy Murray match with French commentary online whilst eating several chocolate digestives. Living the dream. Whoosh! Murray looking in control of the rally then bang. Wawrinka cracks a superb forehand down the line. That one was travelling. 30-30. Only took three games and we have the first sighting of Ivan Lendl. 2-2. That was a battle. The Wawrinka forehand is going to cause some real problems but Murray holds serve. 2-3. Stan making light work of that with some big serving. Ends. 3-3. Some real quality tennis here. Neither player given their opponent a break point yet though. 3-4. Both players threatening to set up a break point but neither seeing it through. Who will blink first? 4-4. Murray looked comfortable, an unforced error let Wawrinka back in but the Scot saw it through again. 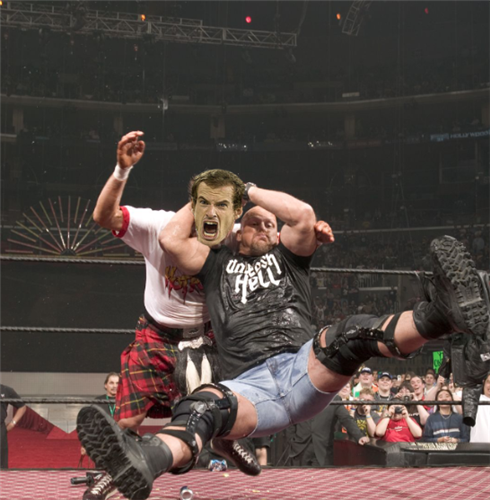 Murray digs his way from 40-0 behind to force deuce. What a break this could be.